1. Wash and dry the Rubbermaid Lunch Blox Kids Lunch Kit Sets. 2. Prepare Gingerbread cookie mix and cut into the shapes for 3 Gingerbread houses and 3 Gingerbread men. 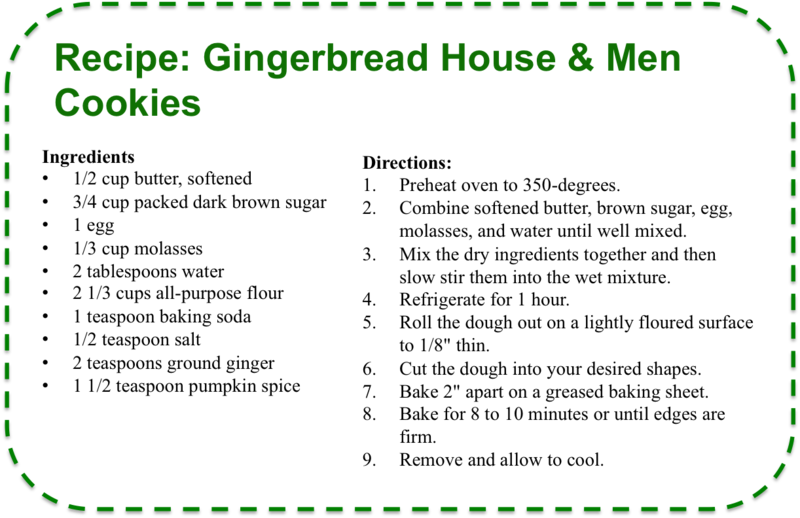 Click and print the image below if you need a Gingerbread cookie recipe. Personally, we used some of the smaller containers from the Lunch Blox kit as cookie cutters for the sides of the house and the roof pieces. 3. Allow Gingerbread cookies to cool. 4. Fill the large containers with the Gingerbread house pieces, Gingerbread men, cereal, and colorful candy. 6. Add the lids, snap the containers together and wrap with a festive ribbon or wrapping paper.